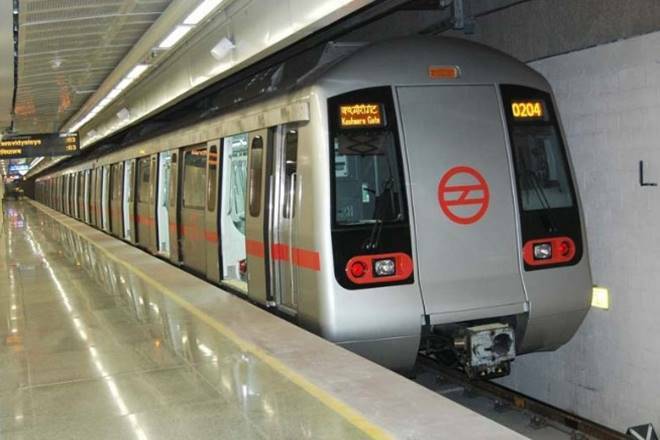 New Delhi, Metro Rail News: The Union Cabinet on Thursday gave “in-principle” approval to three out of six corridors of Delhi Metro Phase IV. Which will further improve connectivity in the Delhi – NCR. Finance Minister Arun Jaitley shared this information at the media briefing after cabinet meeting. According to the government, The Tughlakabad-Aerocity (20.20 km), Janakpuri West-RK Ashram (28.92 km) and Mukundpur-Maujpur (12.54 km) sections. This will add to the existing 350 km-long Delhi Metro network have been approved by the Cabinet in the meeting chaired by Prime Minister Narendra Modi. Aerocity to Tughlakabad Corridor will have a total of 15 Stations: Starting from Aerocity, Mahipalpur, Vasantkunj Sector-D, Masoodpur, Kishangarh, Mehrauli, Lado Sarai, Saket, Saket G Block, Ambedkar Nagar, Khanpur, Tigri, Anandmayee Marg Junction, Tughlakabad Railway Colony, Tughlakabad. These Corridors will expand the Delhi Metro connectivity and will reach to more areas of the national capital. The total network length of the Delhi Metro will cross the 400-kilometre mark after the completion of these corridors. The other three lines which are yet to receive the Union Cabinet’s approval are Rithala-Bawana, Inderlok-Indraprastha, and Lajpat Nagar-Saket G Block. The total outlay for the project will be Rs. 24,948.65 crore in an equal sharing pattern with the Delhi government. In December, the Delhi government gave in-principle approval to all the six corridors of Phase-IV and allocated Rs. 500 crore.